We’ve been living in our condo unit for more than 5 years now, and in that span of time, I don’t think I was able to buy items of significant value for my kitchen. Our dinner set and most of our cooking wares were wedding gifts from friends, and we bought the rest of our kitchen appliances when we decided to get married. Now, many of these kitchen paraphernalia are retiring and begging to be replaced. My tired and worn-out kitchen badly needs sprucing up. That is why I came up with my own kitchen wish list to make our cooking and eating days so much brighter. Yonanas Dessert Maker My son doesn’t eat fruits, but he loves ice cream, and the best way I can infuse fruits into his diet is to serve them to him in the form of ice cream. 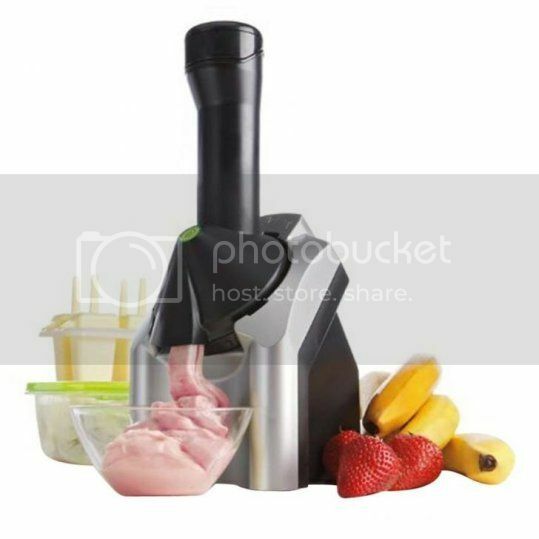 Through this Yonanas Dessert Maker, I can now come up with healthier and more delicious treats for my boy. By the way, this kitchen appliance accepts all kinds of fruits, not just bananas. It’s also easy to use and easy to clean; it’s dishwasher-safe, too. Multiple Choice New Spring Love Veronica’s Garden 20-piece Dinnerware Set I also want a new dinner set. 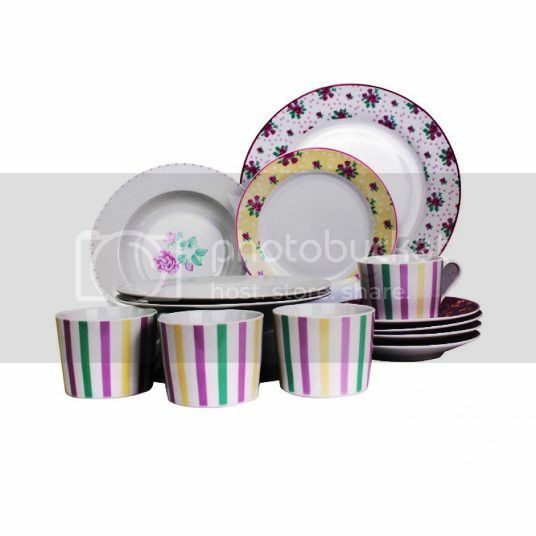 This Multiple Choice New Spring Love Veronica’s Garden 20-piece Dinnerware Set would be perfect for a family of three. It’s made from high-quality porcelain material, it has a lovely floral design, and it’s microwave- and dishwasher-safe. It includes 4 pcs. dinner plate, 4 pcs. salad plate, 4 pcs. soup plate, 4 pcs. saucer and 4 pcs. cup. Now, we can eat like royalties with this traditional Victorian-style dinner set! How long has it been since we’ve bought our gas stove? 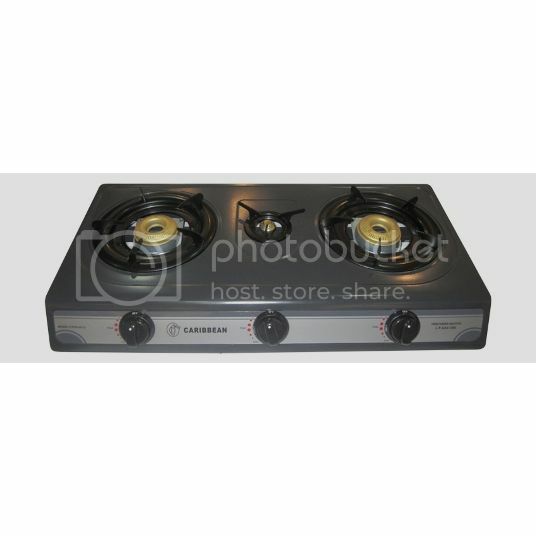 Back then, all I could see was either a 2-burner or a 4-burner gas stove. We bought a 2-burner stove to fit our small kitchen. Looking at online shops, however, I realized that3-burner gas stoves are now available in the market, like this Caribbean Triple Burner Stove, which would be perfect for our small condo kitchen. Aside from having triple burners, it is gas-efficient. It also has an automatic electronic ignition, as well as detachable trivet and tray for easy cleaning. This is quite a steal for only Php749.00. I’m glad that these top three items on my kitchen wish list are available at Lazada Philippines. Now I don’t have to leave home to shop, I don’t have to carry heavy things from the store to our home, and I don’t have to stand in long queues to pay. Oh the convenience of online shopping! You might also want to check out stainless steel pots and pans reviews for your cooking and kitchen needs. This entry was posted in Caribbean Triple Burner Stove, Kitchen Appliances, Kitchen Wish List, Lazada Philippines, Multiple Choice New Spring Love Veronica's Garden Dinnerware Set, Product Review, Yonanas Dessert Maker. Bookmark the permalink.